Breaking news out of the DC Metal panel at New York City. 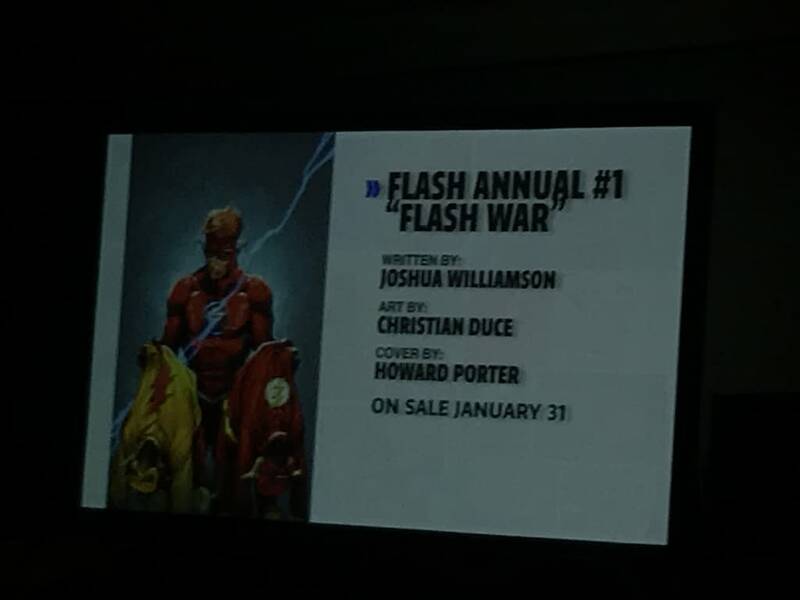 Kicking off in the Flash Annual #1 will be a Flash War. Joshua Williamson is writing, with art by Christian Duce and a cover by Howard Porter. The story is described as the fight to see who is the greatest Flash — Barry Allen or Wally West. Bleeding Cool ace reporter Joe Glass is on the ground at the panel, and he’ll be bringing us a full report later. In the meantime, stay tuned to Bleeding Cool for breaking news from NYCC 2017.